Do We Talk Funny? 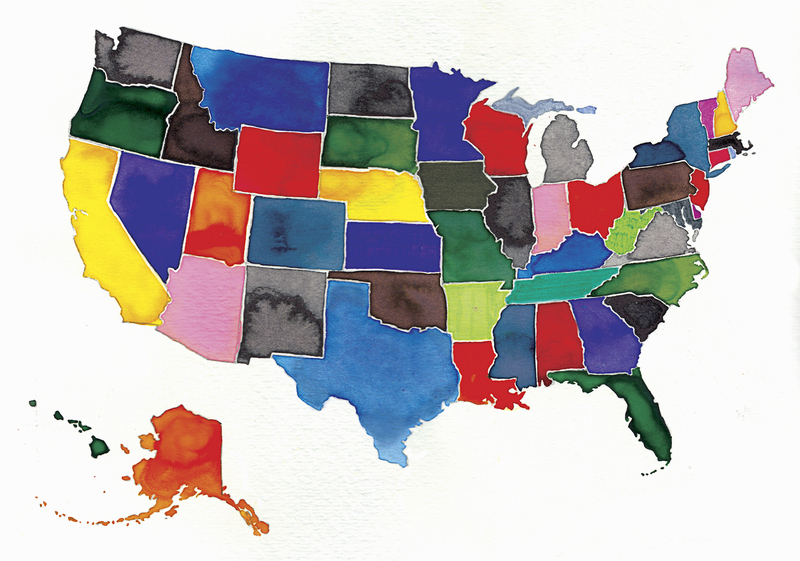 51 American Colloquialisms : NPR History Dept. American English has a rich history of regionalisms — which sometimes tell us a lot about where we come from. Has American English become homogenized? Have our regional ways of saying particular things — sometimes in very particular ways — receded into the past? Or do we talk as funny as ever? When I was researching an NPR History Dept. piece on lost American slang words recently, slanguist Tom Dalzell — author of a raft of books, including Vietnam War Slang and Flappers 2 Rappers: American Youth Slang — told me: "For 100 years, we have trended away from regional slangs to a national slang. Radio, then television, then MTV and then the social media have all served to homogenize the slang that we use." But what about nonslang regionalisms and colloquialisms? "There is a huge overlap between slang and colloquial and regional," Dalzell says. "Some would argue that cool is no longer slang but is so commonly used as to have lost the identity value and so is merely colloquial." Meanwhile, according to the website of the expansive Dictionary of American Regional English — DARE -- language researchers are "challenging the popular notion that our language has been 'homogenized' by the media and our mobile population." They proffer that "there are many thousands of differences that characterize the dialect regions of the U.S."
Centered at the University of Wisconsin, DARE is celebrating its 50th year of studying our country's regional words and expressions — through field interviews in the early years and more recently through written materials spanning the history of the U.S. The dictionary has produced a multivolume reference work and continues to report on regionalisms through its website. With support, DARE is hoping to conduct more personal interviews using online surveys. "Some regionalisms from a half-century ago have gone out of use," says Joan Houston Hall, the chief editor of DARE. "Dropped egg, for instance, was a strongly New England term for a poached egg. But at that time, most of the speakers who used the term were over 60 years old, so I suspect that we would find very few instances if we were to ask the question again." Why did folks drop the word dropped? "No one knows for sure," Hall says. "Maybe it was a term associated with rural life; maybe with the popularity in the late '60s of Julia Child's Mastering the Art of French Cooking, it was more fashionable to switch to poached egg. Often the changes are generational, for no apparent reason." But new words come into use, Hall says, "and if they serve a purpose in a limited area, they become new regionalisms. Take slug, for instance, in the D.C. area. Here's our definition: one who hitches a ride with a driver who needs passengers in order to use a high occupancy vehicle lane." Other recent regionalisms, she says, include: squeaky cheese — fresh cheese curds, chiefly in Wisconsin; tiger meat — steak tartare, also called a "cannibal sandwich," chiefly in Wisconsin; spendy — expensive, chiefly in the North, especially the Pacific Northwest and Upper Midwest; and stuffie — a stuffed clam shell, chiefly in Rhode Island. "Regionalisms change," Hall says, "some of them dying, some expanding or contracting and others coming into our vocabularies." Which set me to thinking about some of the regionalisms from DARE's 50 years of research — and wondering if they still pop up in popular parlance.